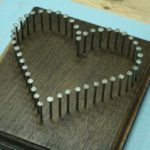 This is 5 Free Woodworking Catalogs You Can Order Now, and they are all filled with great tools, materials, and ideas to make you a better woodworker. They are all free, and I’ll show you exactly where to get them. Enjoy. 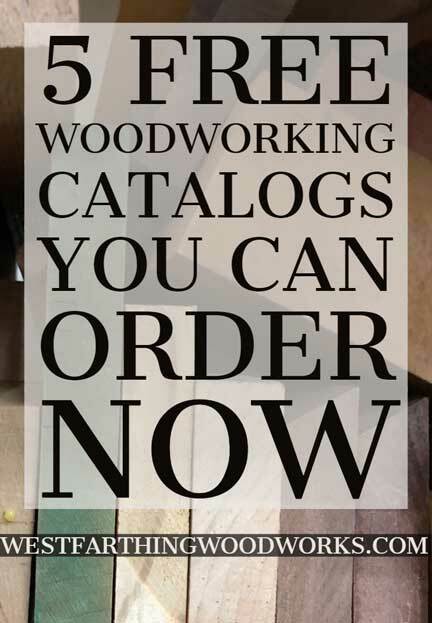 There are a lot of great woodworking companies that offer free catalogs. They cover everything from materials and disposable supplies to hand tools and large floor standing shop tools. 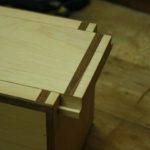 You can actually learn quite a bit from a woodworking catalog, which is why I recommend that you regularly receive at least one good catalog in the mail. It’s not just about buying tools, it’s more about getting ideas. In the beginning, you don’t know what you don’t know. That’s a problem, because you might need to do a certain thing to a piece of wood, but since you don’t know a lot about tools, you might not know exactly what you need. A tool catalog is a way of becoming familiar with other tools that you don’t own. As you already know, tool buying is an expensive adventure. 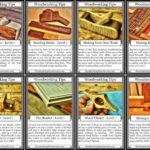 Since you can’t buy everything in the beginning, a catalog will help you become more knowledgeable. Catalogs familiarize you with tools and materials you may not know about. A wood catalog will introduce you to new types of wood. Catalogs teach you woodworking vocabulary in a way that is fun and enjoyable. Beginners will discover what other tools can do from reading about them. Catalogs help you generate ideas by showing you new new ways of doing things. Most free catalogs are filled with information for beginners. Tool catalogs encourage daily reading about woodworking, which is important. Catalogs will introduce new types of woodworking that you might really like. As you can see, there are a lot of benefits to receiving a catalog or two on a regular basis that shows you more about your hobby. Now, here are the catalogs themselves, and how you can order a free copy for yourself. All of these catalogs have come to my home at some point, and some still do. They make excellent sources of woodworking study, and they also make great bathroom readers. What better use of your down time? You can get one of the biggest woodworking catalogs right here, and it’s awesome. This is a phone book of a woodworking catalog, and it’s free. It has to cost them a fortune to make and send these out, but they still do. The nice thing about Grizzly is that they have low prices, but the products themselves are of nicer quality than you might think. I have purchased several things from them, and they have all been excellent. The catalog comes out fairly often, and it updates based on what they carry. 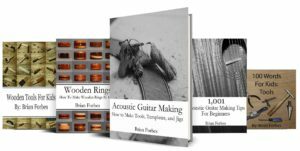 They also have a small section of guitar making supplies, which is great if you are a new luthier and need some inexpensive materials. 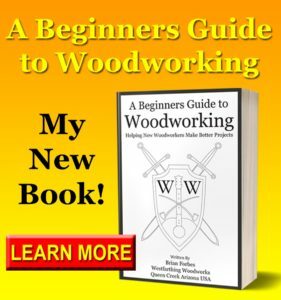 Woodcraft is another great source for woodworking tools, and they have a free woodworking catalog right here that you can request. The catalog is not as big as the Grizzly catalog, but it has different things. Woodcraft is a store that serves high end woodworkers. This means you will find tools that you can’t find in other places. 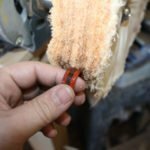 Their selection for woodworkers looking for specific higher end tools is huge, and the tools are all great additions to your shop. There are sections for tools, materials, hardware, and other woodworking items. When your copy comes in the mail, give yourself plenty of time to really go through and see everything they carry. The Rockler Catalog is available for free, and it will give you another source for free woodworking information, as well as a way to buy tools and materials. Rockler is a chain store, and they have many physical locations too. Something to think about is having a catalog from them if they also have a physical store in your area. This way, you can search the catalog for what you want, and then pop into the store and get it. This eliminates all of the waiting and shipping costs. Even if the store is a little bit of a drive away, you can still save many times over the price of shipping and waiting. Nobody likes to wait anymore, and the catalog/store option is great in that way. Penn State is the mother of all materials catalogs. If you really want to find a hole in your wallet, this is the one you need. The materials you will find are endless, and they are truly inspirational for any level of woodworker. 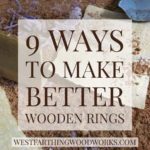 Materials have a way of inspiring woodworkers like you to make things. The more the materials, and the more interesting, the more they motivate. There is just something awesome about working with a new type of material. The Penn State catalog will show you more types of blanks than you ever knew existed, and you will want every one of them. You definitely need this catalog, and you will really be happy when you get it. I promise. The free Highland Woodworking catalog is right here, and you can get it sent to you in the mail directly from the company. They send out catalogs regularly, and they specialize in higher end tools. This is not a flashy catalog full of colorful pictures and sales copy. It’s a catalog for woodworkers that know what they want, and know where to get it. The tools you will find inside are not common store level tools, they are a cut above. Especially for edged tools, Highland has you covered. The quality is excellent, and the way the tools perform is worth every penny. Get one of these catalogs sent to you and you will see exactly what I mean. Your assignment is to sign up for all five of these awesome woodworking tool catalogs, and get them all sent to your house. They are all great in their own way, and you don’t know which one is going to be the one that motivates you the most. Since you don’t know, just get all of them. You can always cancel them if you don’t use one or a few, and it’s not a big deal. Think about all the junk mail you already get. It will be nice to finally get something good in the mail. Once you get the catalogs, go through them. Keep them in a place that you will read through them rather than store them somewhere. They offer no benefit if you don’t spend time on them. Use the catalog to teach yourself about tools, learn vocabulary, and find out new ways of doing different processes in woodworking. A catalog can teach you all of that and more, and since it’s free, it’s even better. If you have any questions about these free woodworking tool catalogs, please leave a comment and I will be glad to answer them. Happy building.